We help churches of all sizes bring new families through their doors every weekend using Google, Facebook, and Instagram marketing. Get $10,000 per month for FREE! We can help your church get $10,000 in ad spend every month from Google absolutely free! All you need is a 501(c)3 nonprofit and we’ll take care of the entire process and manage your campaigns monthly so that people searching for churches in your area FIND YOUR CHURCH FRIST! 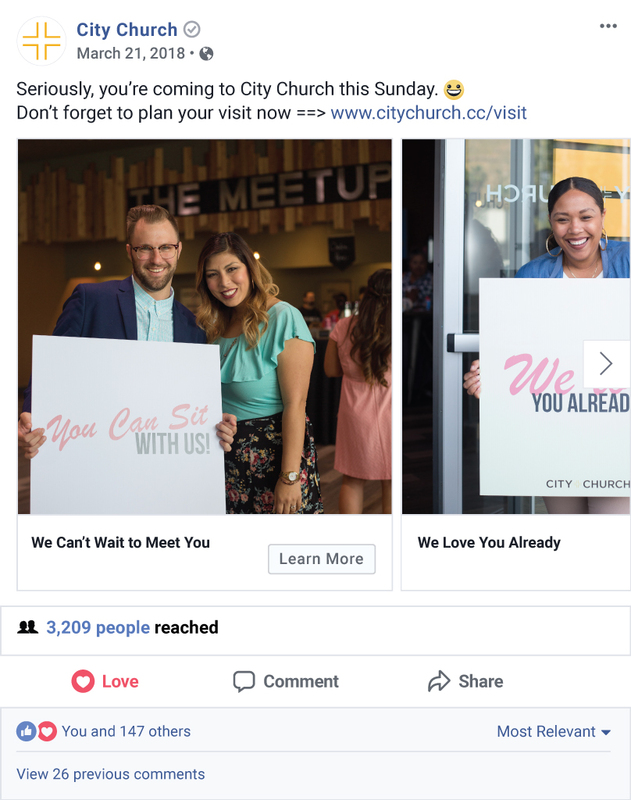 Who is running your church’s marketing? Don’t let Sister Mildred run your Facebook… internet marketing is hard and each network is designed to spend your money in the most expensive way possible. Let our team of pro’s run your marketing for you. Lemonade Stand grew into a 7-figure agency serving some of the nation’s largest businesses and now we use the same strategies, processes, and team to help your church grow. Get $10,000 per month in free ad spend from Google for your church. Note: Your church must be set up as a 501(c)(3) non-profit. Send people looking for a new church on Google to your website. Target your core demographic on Facebook & Instagram with highly-optimized invitations to your church every day. Reach the lost by showing your ads in strategic places online. Engage web users and prepare your team for new visitors with a special “Plan Your Visit” landing page. Lead visitors to their next steps with an automated email series. Select a package below and our team will get started immediately on driving new families through your doors every weekend. How much will I owe today? Nothing! We have a 30-day trial throughout the conference… it’s a win, win situation for your church! Who pays for the ad spend? Once you qualify for the Google AdWords Grant, you will receive up to $10,000 per month in free ad spend to use on Google. For Facebook, you will have a credit card on file and you will be able to allocate as little as $5/mo or as much ad spend as you’d like. Full terms & conditions. Will we qualify for the $10,000/mo from Google? There are quite a few things we’ll need to do to complete the sign up process — Google doesn’t make it easy for the average person to sign up and they may not offer this forever. However, as long as your church is set up as a 501(c)3 nonprofit, we should be able to help you. Do you create custom websites? YES! We can create a fully custom, beautiful website for your church starting at $2,500. Contact us for more info. Interested in additional services or have any questions?